Chuckwagon Café is owned by the Deandrea family, a staple in Camden County for many years. As a family-owned establishment, we truly go the extra mile to please our customers and treat you like you are sitting down for breakfast or lunch in our own home. Our customers say we are #1! 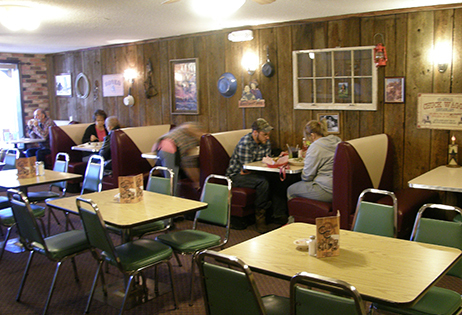 Our restaurant seats around 100 people, allowing us to keep a small, hometown ambiance. It seems that once we get a first time customer, we see them again and again. This is because we strive to always offer hearty portions and high-quality meals at affordable prices. At Chuckwagon Café we not only say “thank you” to those who protect us so bravely, we offer them discounts! For our military, law enforcement, EMT, and other uniformed personnel, it is our honor to offer a 10% discount. The weekend is a time to kick back, relax and enjoy some good company. We offer a delicious menu with a wide variety of selections including eggs to order. Check out our breakfast quesadillas, homemade pastries and more. Most items made from scratch. We also have private rooms available for parties, meetings or reunions. We have several unique and well-known dishes that have made us famous throughout the Camdenton, MO area. These dishes include homemade meatloaf, hand-cut fries and homemade potato chips. We also offer daily breakfast and lunch specials. No matter if you want scrambled eggs, toast, orange juice and coffee at 8:00 a.m. or 2:15 p.m., we are proud to offer our delicious breakfast all day long. It is important for us to provide only the best environment for our customers to enjoy their meals and the company of their fellow patrons. 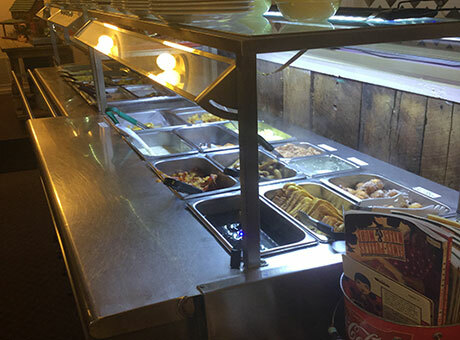 For this reason Chuckwagon Café is a 100% smoke-free restaurant. We take our responsibility of serving meals to the public very seriously. This is why we are always diligent about making sure our licenses are up to date. 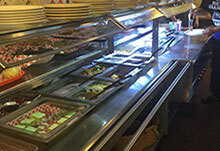 All of our Cooks are ServSafe® Certified, well-qualified, experienced servers. All of our employees are HEPA compliant. 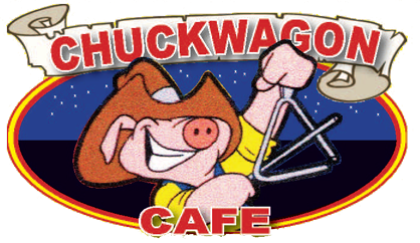 Owned by a pair of retirees who have spent their careers in the food service industry, Chuckwagon Café strives to provide the best environment, the best food, and the best service. The experience we will provide will be memorable. We welcome visitors from all walks of life and from all across the world. We will make you feel special as soon as you open our door. Family friendly restaurant, great all you can eat breakfast buffet on the weekends. Fast and friendly service. © 2019, Chuckwagon Cafe. All Rights Reserved.